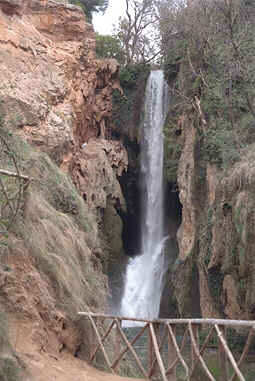 If you hear the word "Monastery", most people don't immediately think of waterfalls. 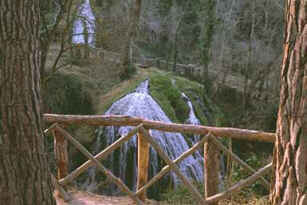 But people who have been to the Monasterio de Piedra near Catalayud do. 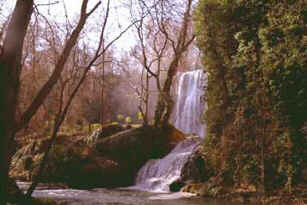 In the garden of this particular Monastery you will find a large number of waterfalls. They all have their own character and shape, but they have one thing in common: they are all beauties. 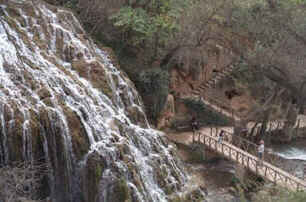 The monks of the Monastery, who wanted to enjoy the pleasantness of the waterfalls as much as possible, laid out a path through the park in such a clever way that you can do this in the most convenient way. 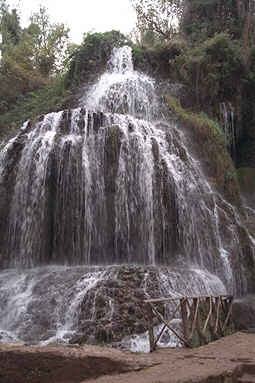 When walking through the park, you will see the waterfalls from a lot of different angles. The surroundings seem to have a funny effect on people: all couples seen here (both young or old) are walking hand in hand and stealing kisses. 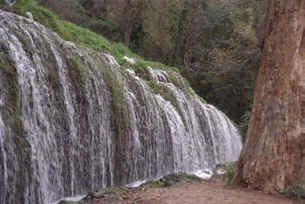 Apart from the waterfalls, there is also a number of pounds, in which trout is bred. The fish varies from very small to rather large, but the largest fish you will find in the restaurants in the neighborhood. And they taste great. 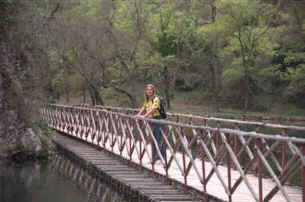 The bridge over these pounds is floating, as you can see here.